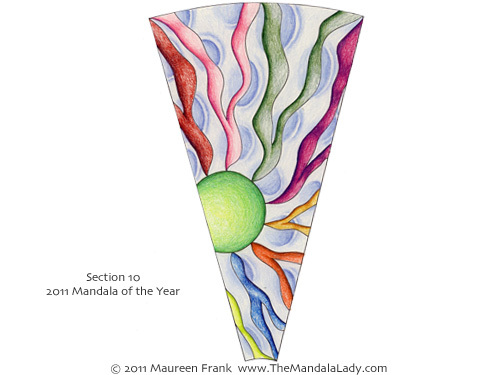 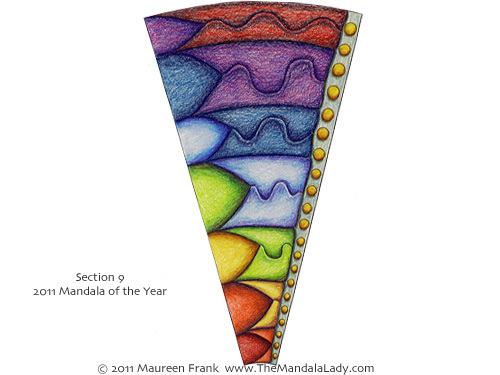 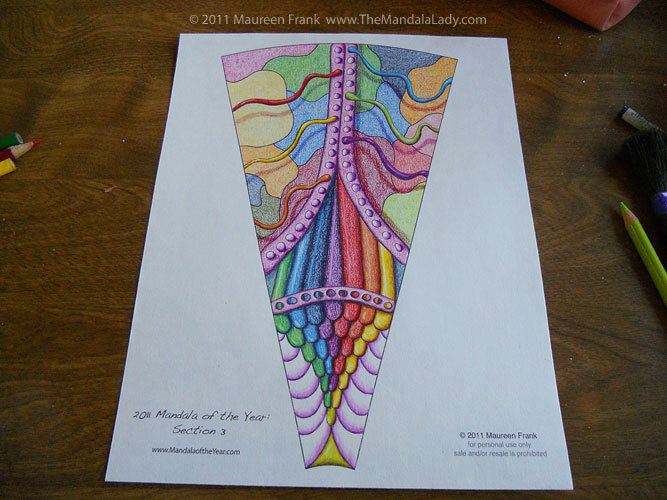 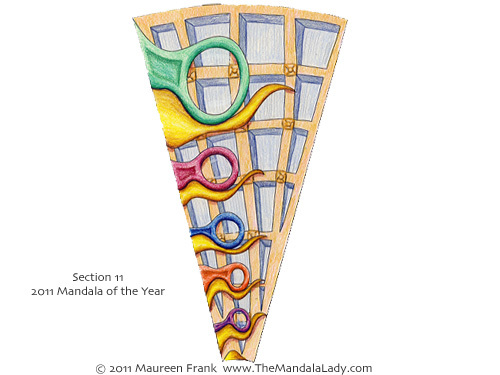 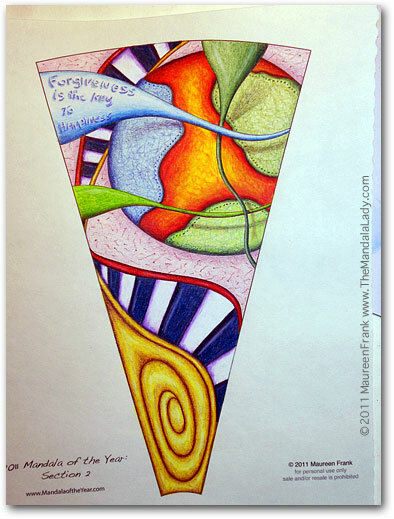 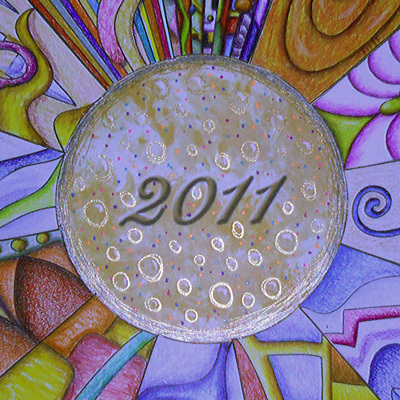 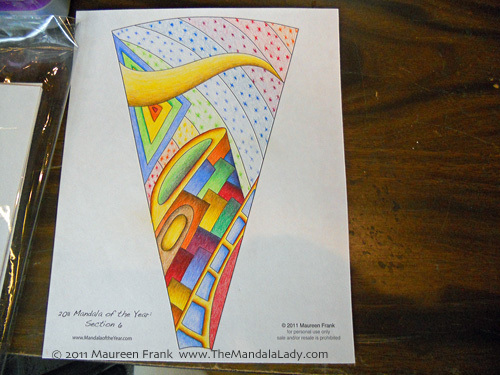 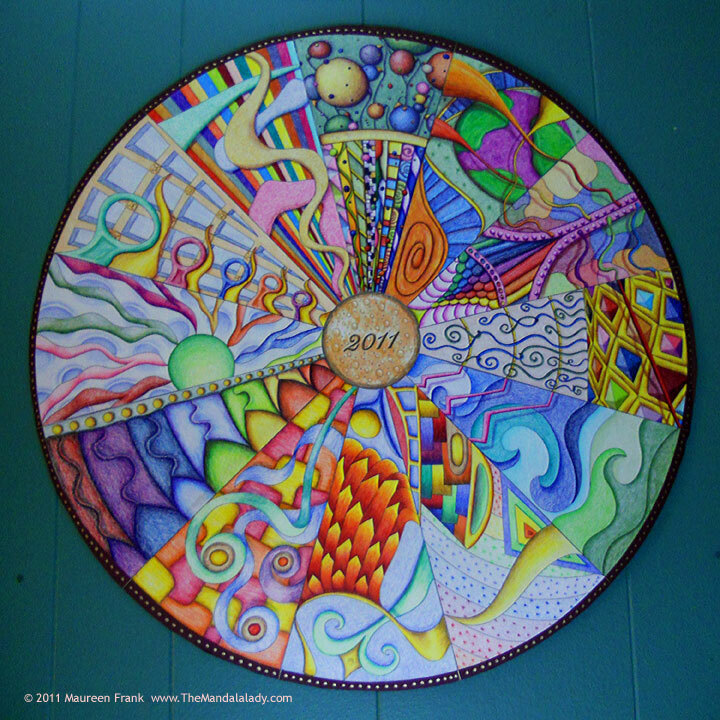 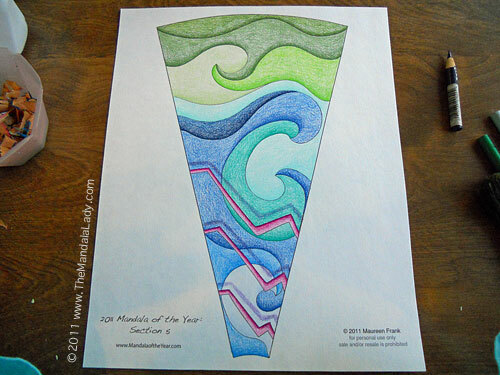 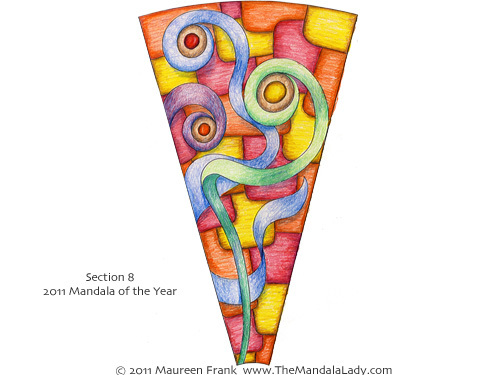 I finished coloring all the sections of the 2011 Mandala of the Year and posted images of each section. 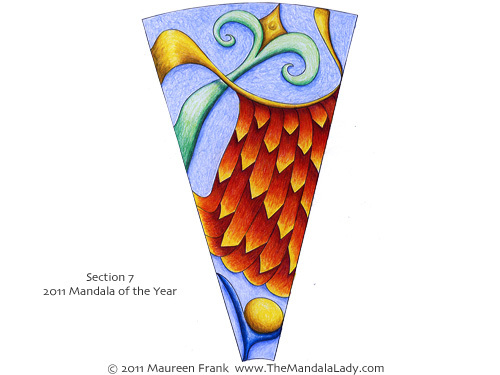 For sections 1-7 you can view the progress of each, which are posted on my ArtProgressions blog. 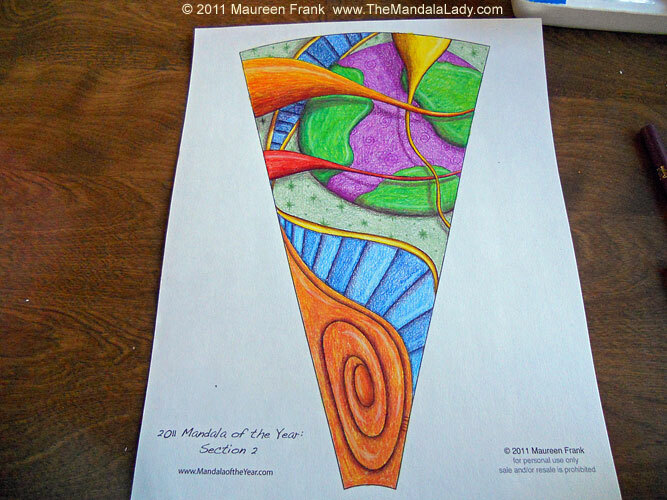 I also posted a slide show that shows each section being add to this final piece. 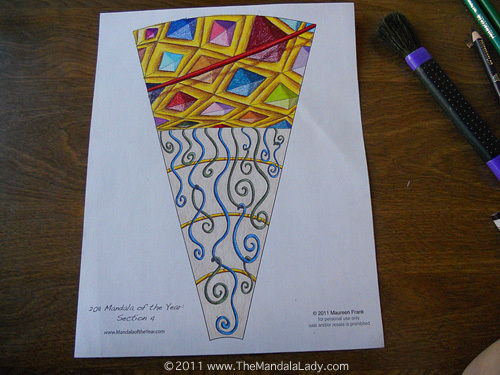 You can view it on my ArtProgressions Blog. 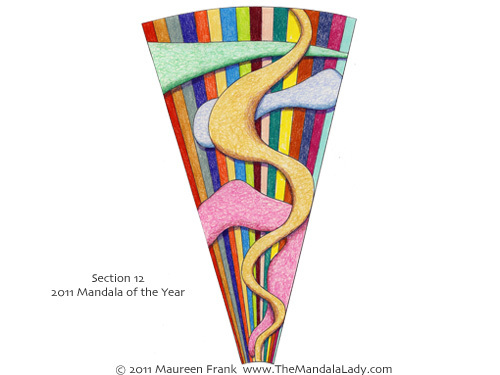 I did 2 versions of section 2 because I realized after I finished the first version, it printed with a “fit to page” feature on and shrunk the design smaller. 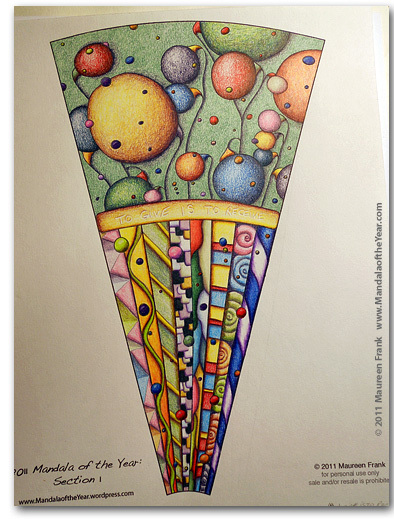 So I printed it again and did the second version.